This property is a 4-minute walk from the beach. 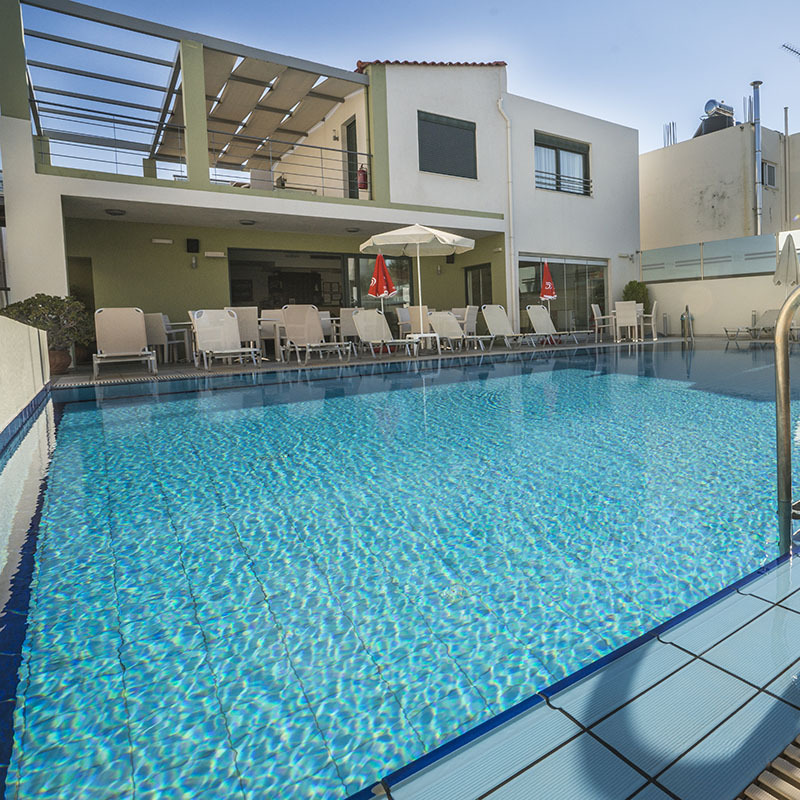 Located in the seaside resort of Agii Apostoli, Athina Beach is a modern hotel with a swimming pool, which includes a bar and a terrace with sun loungers. It is just 3 km from the town of Chania. An essential feature of the multi-level architecture, which takes full advantage of the abundant sunshine of Crete. It has a pool and a cozy bar with local and exotic drinks and snacks. The exterior spaces are decorated with colorful flowers to make your stay very enjoyable. It is just a few meters from a large urban car park. Athina Beach Hotel is an ideal choice for those who want absolute relaxation and rest. Experience magical moments of relaxing by the pool or enjoy a delicious cocktail at the bar. In the evening, when the lights light up, the pool area becomes even more beautiful.